Senyawa - Sujud. Vinyl LP. Bleep. 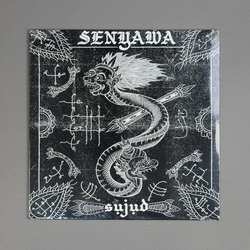 Senyawa’s Sujud broods like nothing else; it’s the sounding horn heralding the end of times. Created by decade-strong duo Rally Shabara and Wukir Suryadi from Jogjakarta, Indonesia, Senyawa utilise cavernous vocals and myriad homemade instruments this time to explore traditional conceptions of humans’ relationship to Earth, as relevant a topic today as it always has been. Sujud is often both terrifying and moving; truly atavistic and modern in equal measure.